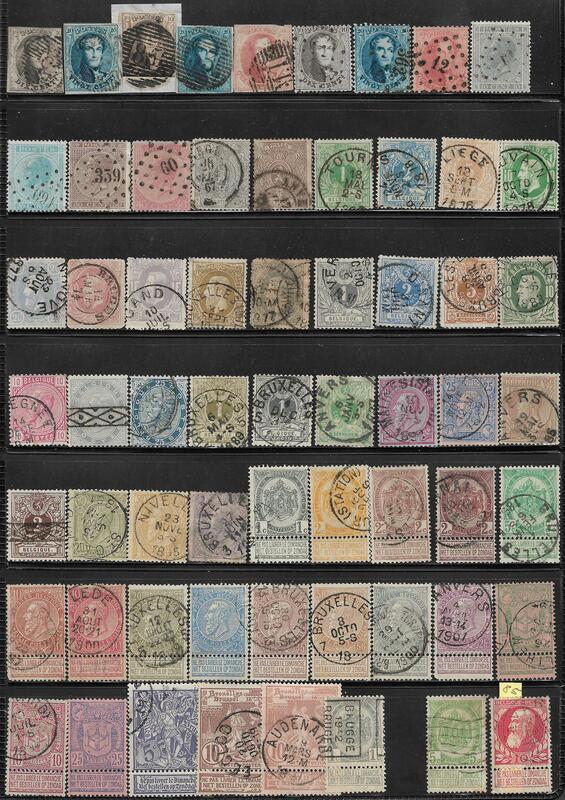 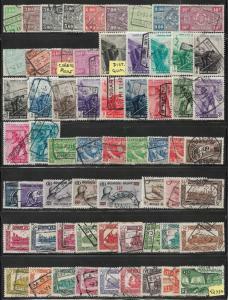 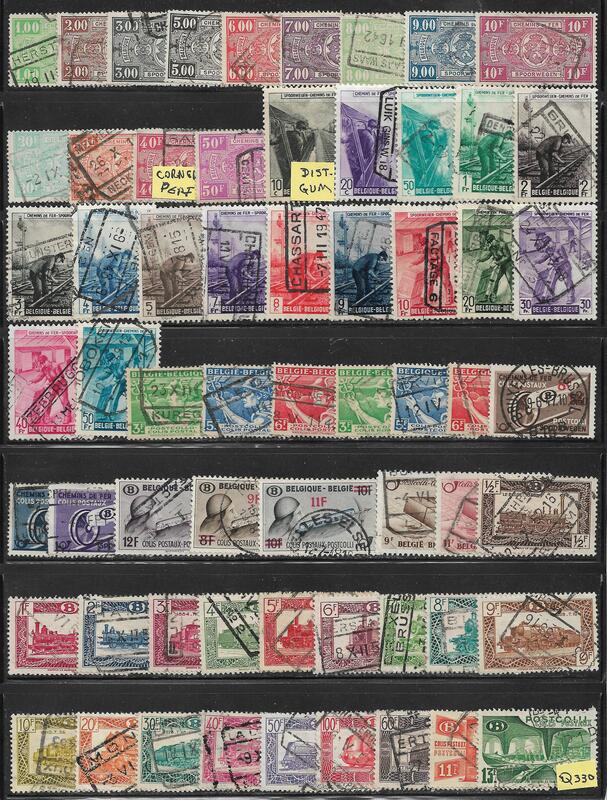 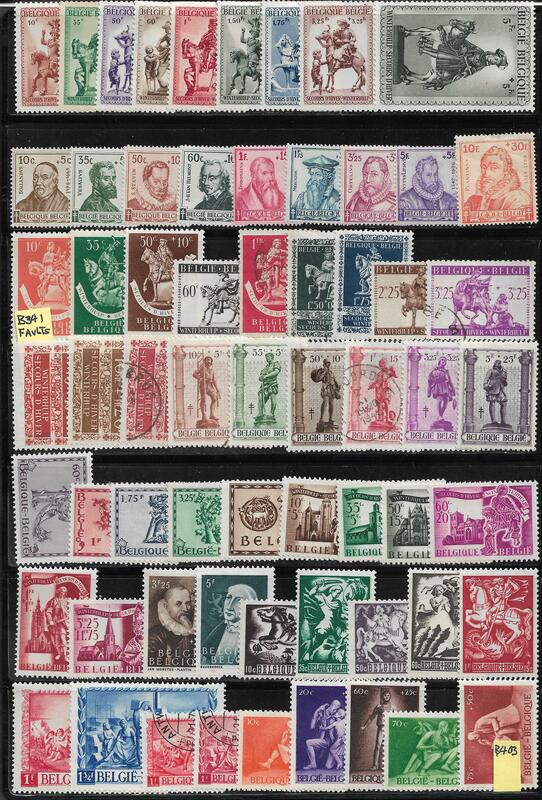 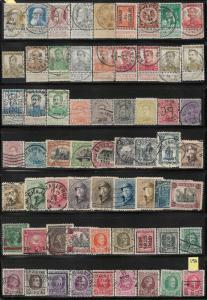 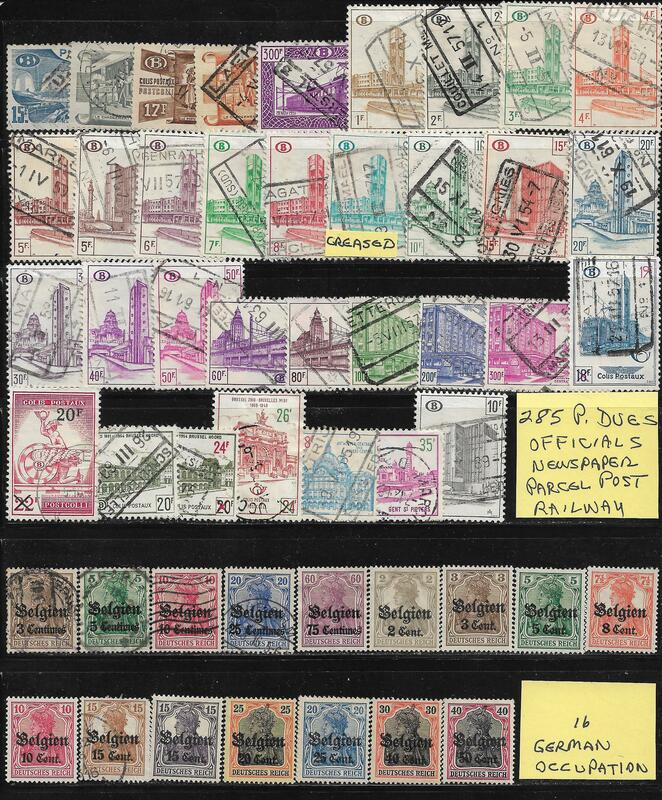 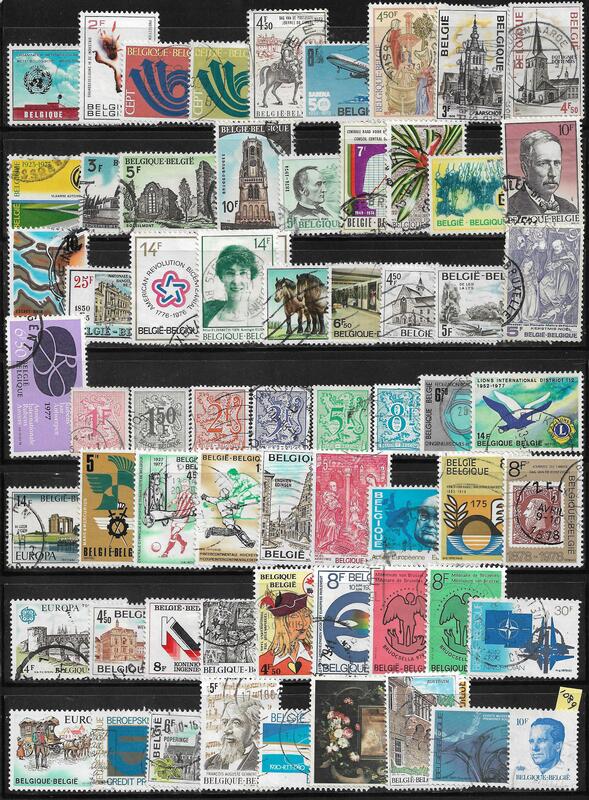 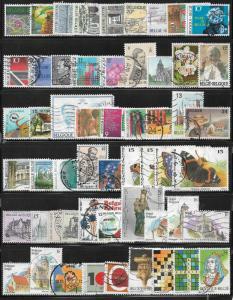 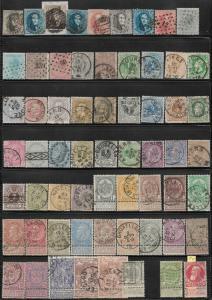 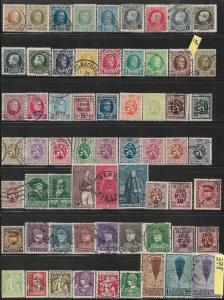 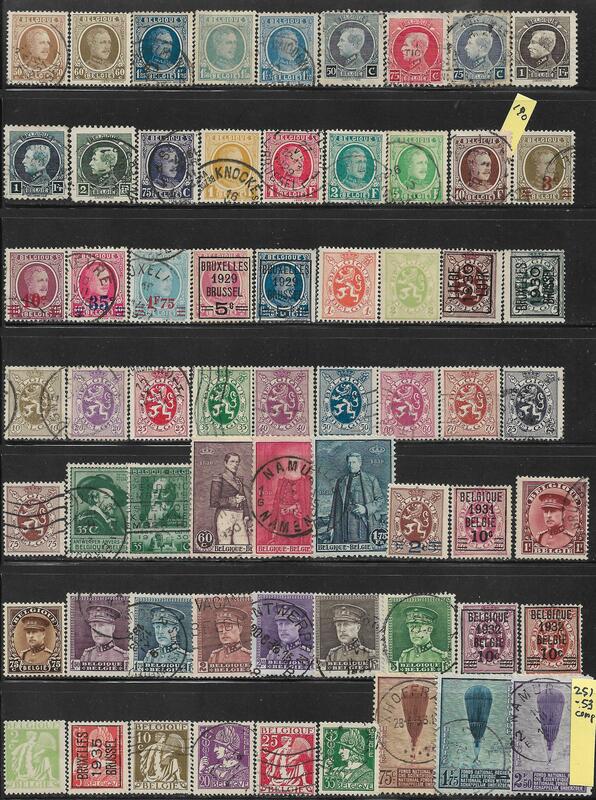 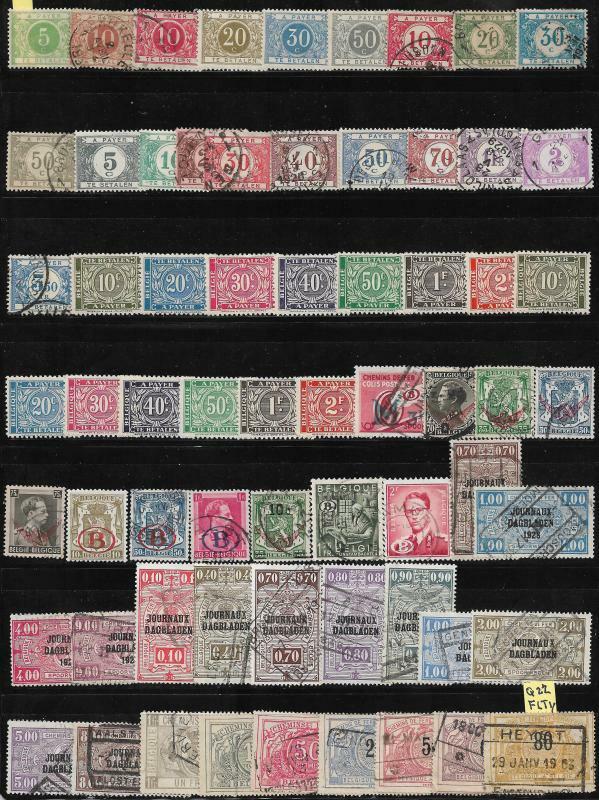 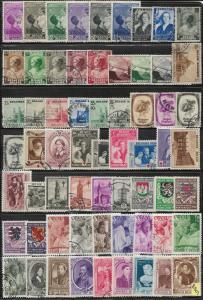 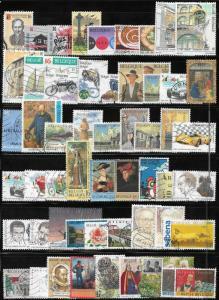 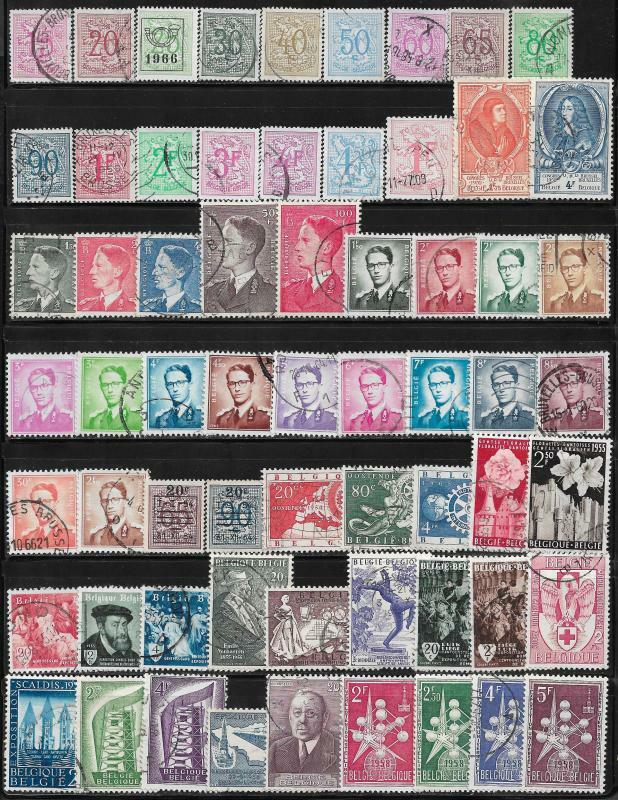 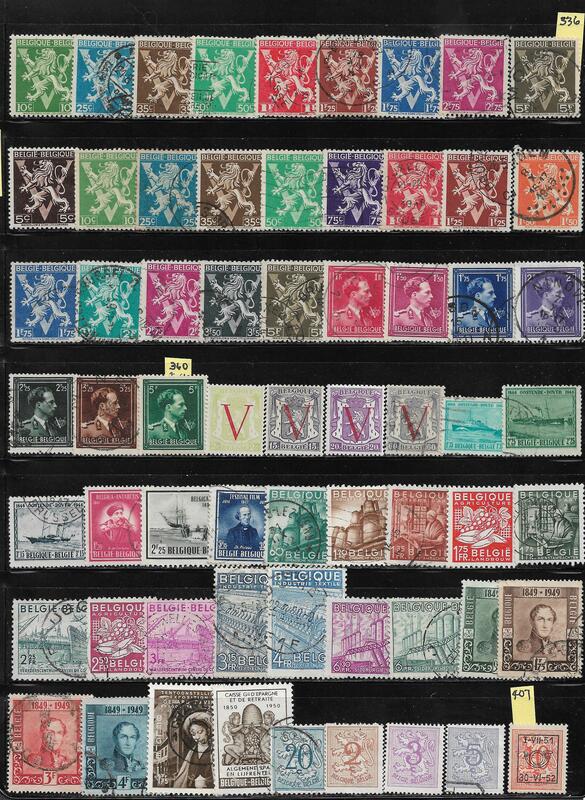 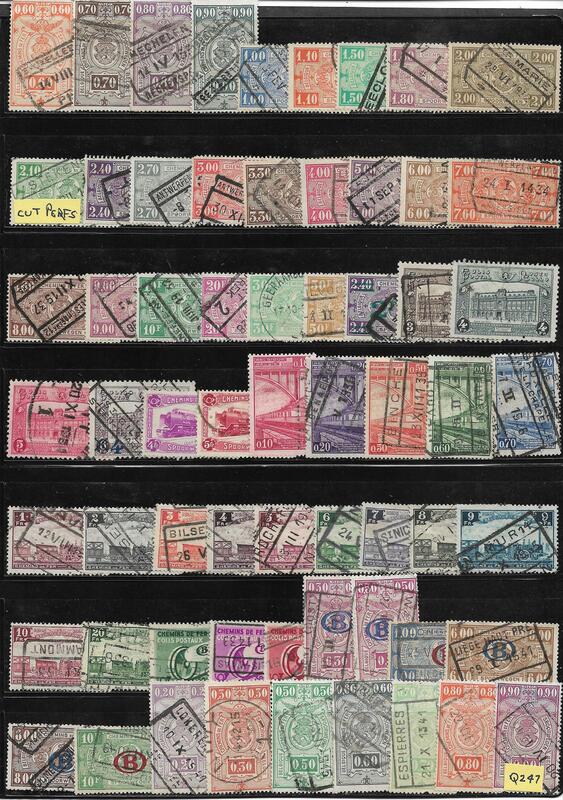 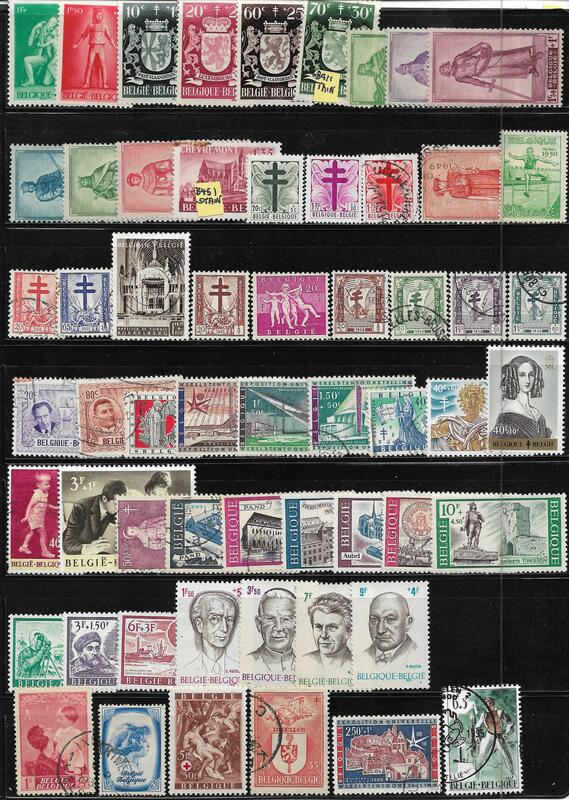 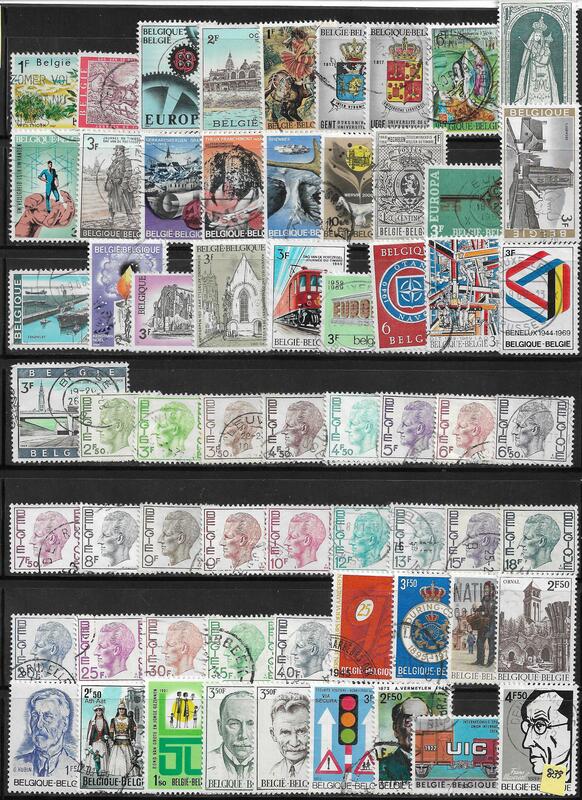 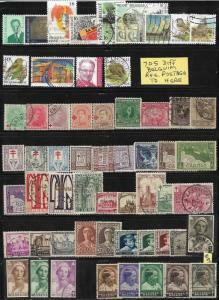 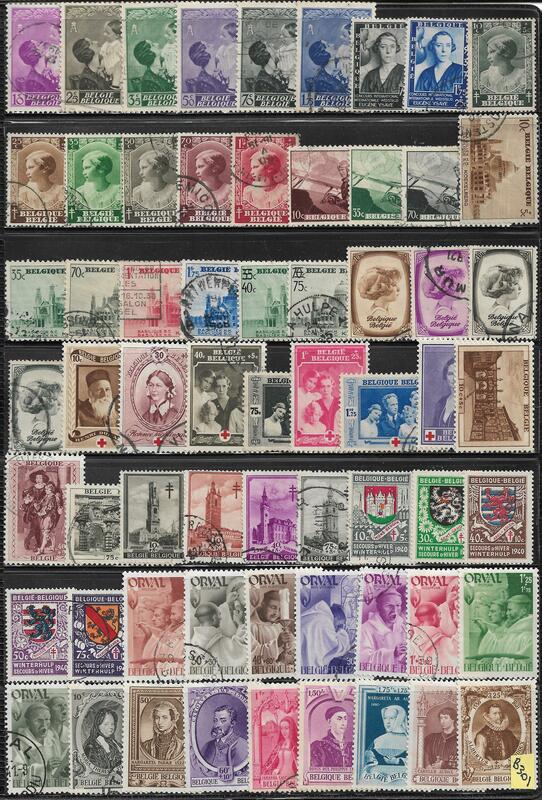 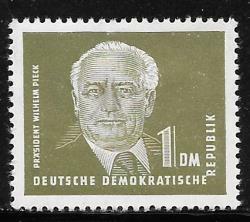 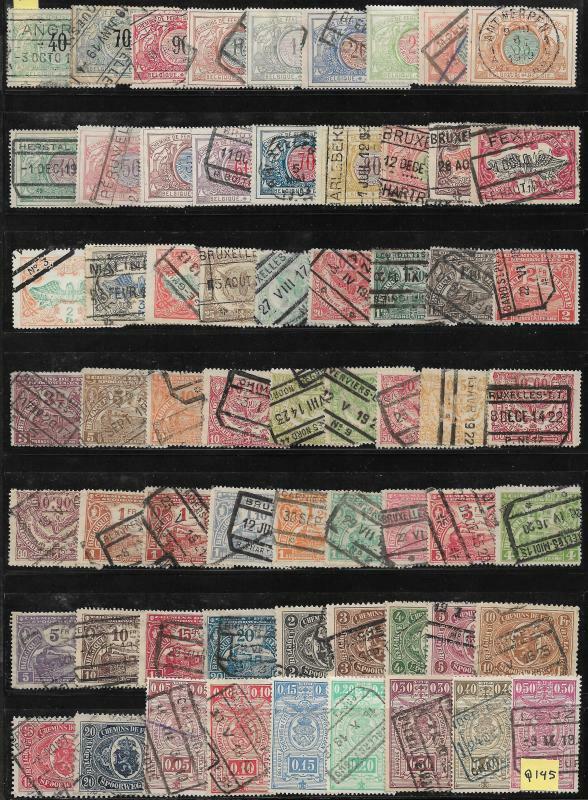 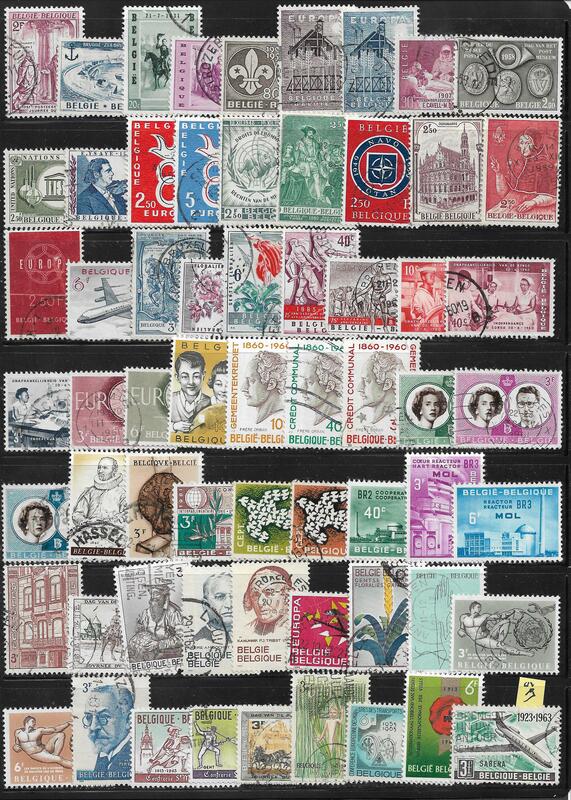 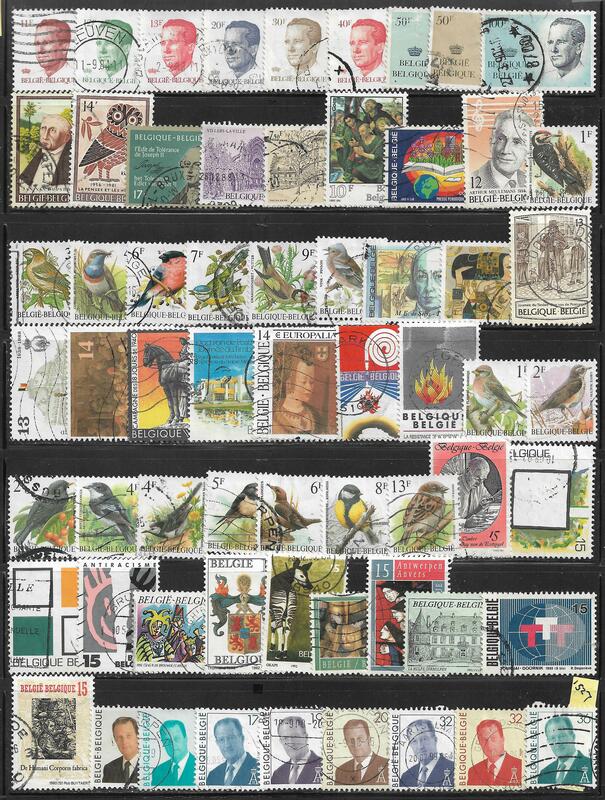 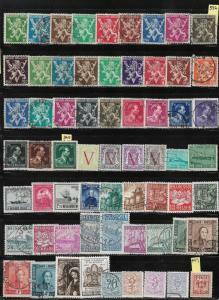 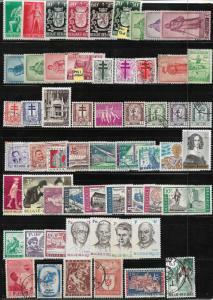 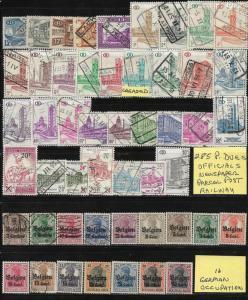 This collection is free of duplicate catalog numbers, (Unlike some countries, Belgium does not have a lot of different varieties of the same stamp, so much easier to collect). 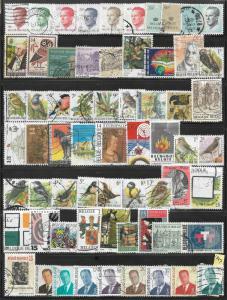 The stamps are in catalog order on the sheets. The reason I say that is because I found even more stamps after putting this collection together and put them on separate sheets for scanning but will place them in their correct order before shipping them. I have just finished a rough value of this collection and not counting any stamps under $1.00, I find a SCV of over $500.00 plus over $300.00 in stamps less than a dollar in value. 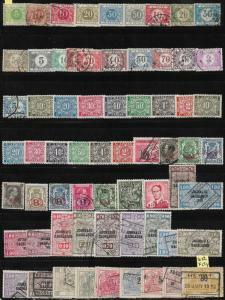 The items marked "flt" were not counted in value. 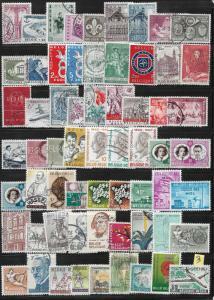 Most of this collection is pre-1970 stamps, since that is what I was mainly trying to fill in my own collection. All but about 440 of the regular postage stamp collection is pre-1970, while all the BOB stamps are certainly pre-1970, except for about 15-20 semi-postals. 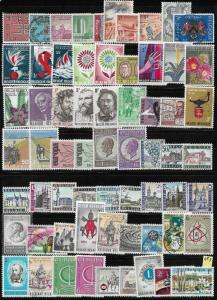 The stamps will be transferred to Manila sheets for shipping. 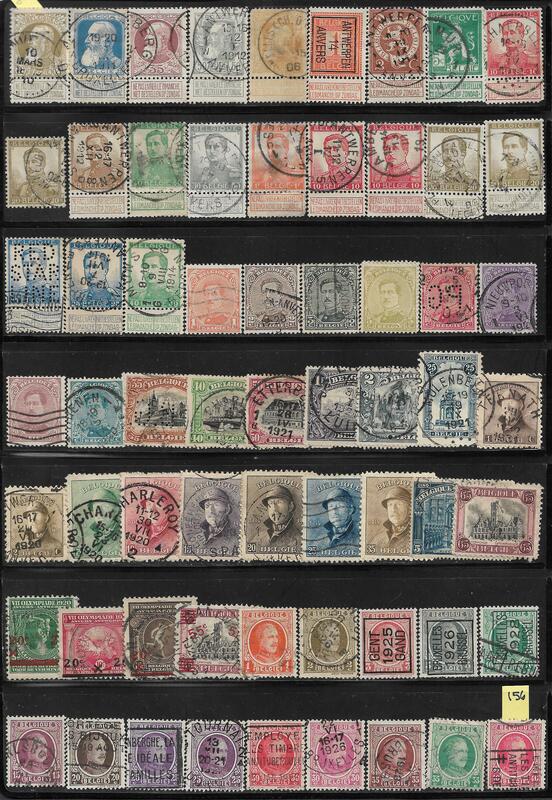 It took years put this collection together, since it was formed from several collections I had acquired in the effort to fill my own album pages and these stamps are just some of the remains of that search. 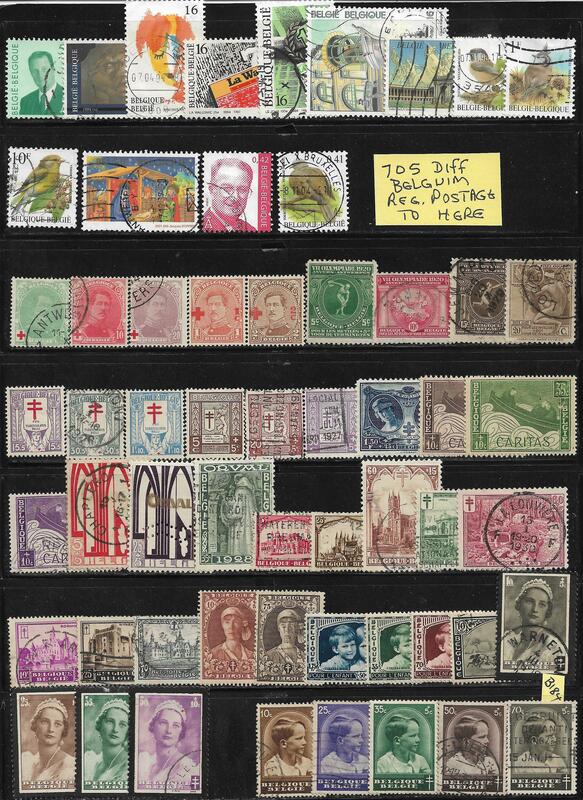 Needless to say, there were many collections to work through and having to use Scott's & Michel catalogs and also the wonderful website StampWorld.com catalog to find stamps that were not visibly shown by Scott's. 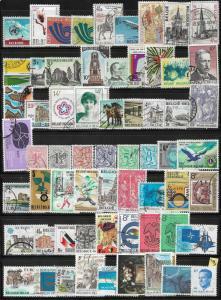 There are 23 single pages of scans, most having 63 stamps to the page and I hope the scans are highly visible for you to see. 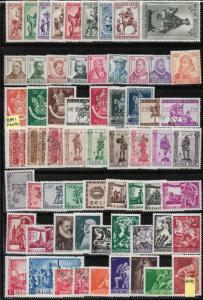 If not please contact me and I will be happy to e-mail you the scans. 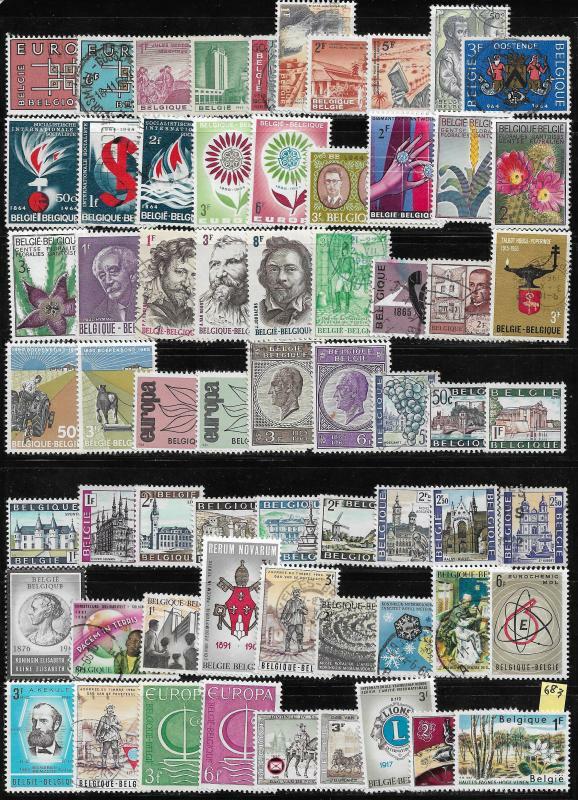 No stock photos used, the stamps you see are the stamps you receive. 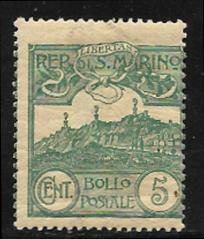 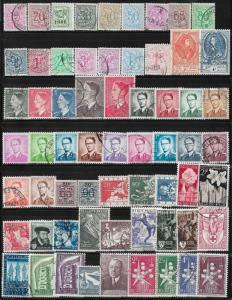 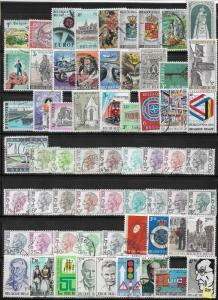 Stamps shipped on manila stock pages, black pages are for displaying the lot. 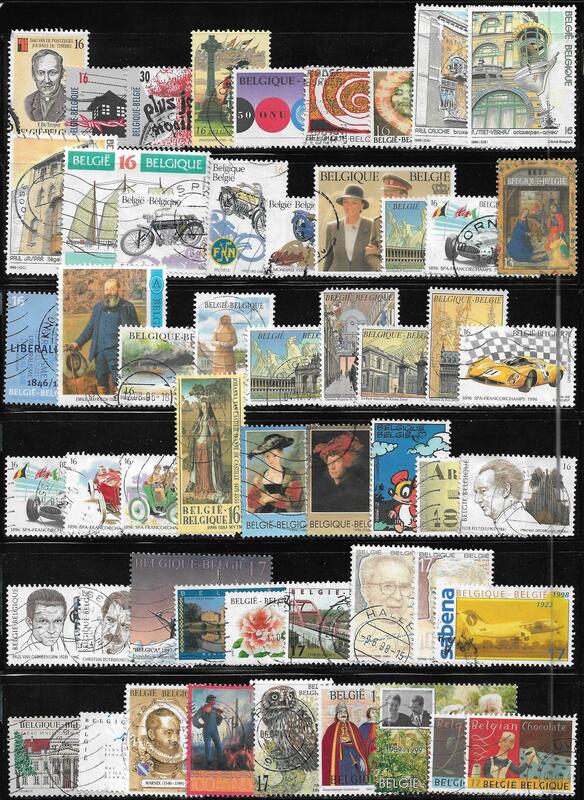 Shipping to US addresses is $5.25, insurance is extra at cost. 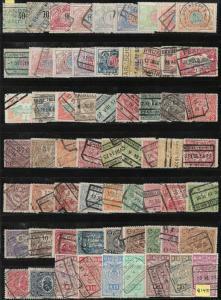 ROW please ask before bidding. 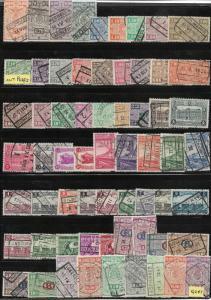 Custom's fees, if any, are buyers responsibility.